The Three Rivers Trail is named after the three rivers it travels along; the west fork of the Des Moines River, the Boone River, which it crosses and the east fork of the Des Moines River. With its miles of uninterrupted woodlands, marshes, river valleys and open prairies, the Three Rivers Trail is one of the top trails in the state. The trail boasts 36 railway bridges along the trail and is anchored on the west end in Rolfe, which was named after the English settler who married Pocahontas. The Three Rivers Trail finishes up just west of Eagle Grove after a scenic ride east. In Rolfe, there is a bike share program; riders should watch for the J.B. Wilcox Shelter near the trail head. After the first 16.5 miles, you’ll pass through Humbolt and cross through many of the railroad trestles on your way there. Just before reaching pilot Creek Road, note the historical marker at the site of a battle between the Winnebago and Sioux Indians for control of the region. This spot also has restroom facilities, parking and a picnic shelter. The next stretch doesn’t have access to any food options or public water facilities, so fill those water bottles before heading out of Humbolt. After reaching Jerry Hatcher Road, there is an option to go north to a 6 mile spur trail into open farmland, but it should be noted that this spur has no outlet.  Alternatively, riders can opt to go south to Frank A. Gotch State Park, which features a 67 acre camp site and is where the confluence of the east and west forks of the Des Moines River are located. Those riders who choose to continue on the main trail will pass through Dakota City where the Humbolt County Historical Museum is located. This interesting complex of historic building demonstrates early life in the county. Look for it at the south end of the Dakota City Memorial Park and Campground. After crossing the east fork of the Des Moines River, riders will once again enjoy rural peace and tranquility. The last river crossing, the Boone River, is the signal of the end of the journey, which is 1.5 miles west of Eagle Grove. There are no public facilities at this end of the trail.